I remember when the Ford Sierra first came out. (I would say one of the first jelly mould shapes) I commented I wouldn't be seen dead in one of those! Two years later I was the proud owner of my Ford Sierra. Great Car. Certainty didn't rust like all my previous cars. 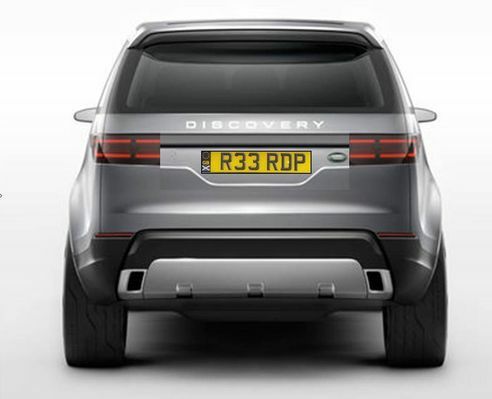 It actually looks pretty good with a Range Rover rear plate. Even better with rounded edges. Right, McGovern can' do it right, so I've fixed it for him. If anything it needs to be squared off instead of looking like Y-fronts. Sets it apart from all the latest other Euromobiles IMHO. Went to see an XC90 yesterday and liked it. Will store the thought away for when I am due to change. I've had a Defender, D3 and now D4 and have never been in a Volvo garage before....JLR must be doing something wrong. eerrrr.... don't hold your breath for the new Defender. 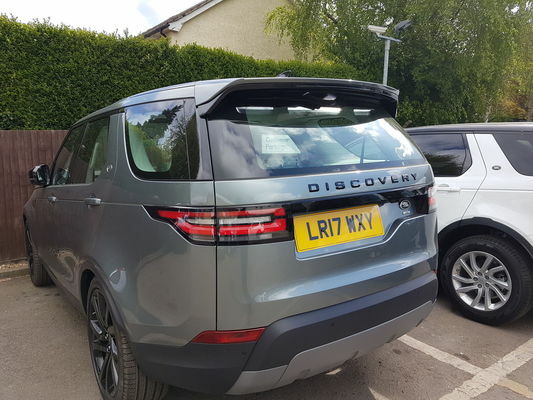 Which way has LR design been heading recently? ....... but much, much closer to the D5. Explains the reason why they discontinued the original Defender before the new one was ready. They got rid of the original customer base a good few years early, that allows them to set the price high for a totally new customer target and they don't have to now pander to the original customer base. Strangely saw my first tonite on way home couldn't make out coming towards me which it was 17 plate block DS ? No only till i saw the offset rear i sighed ! . Before you glance up the road and say D3 / D4 coming towards you even range rovers now it's so hard you have stay looking longer just to see if your right?. Been said before and it's plain to see all marques now as so similar from front. Character less .